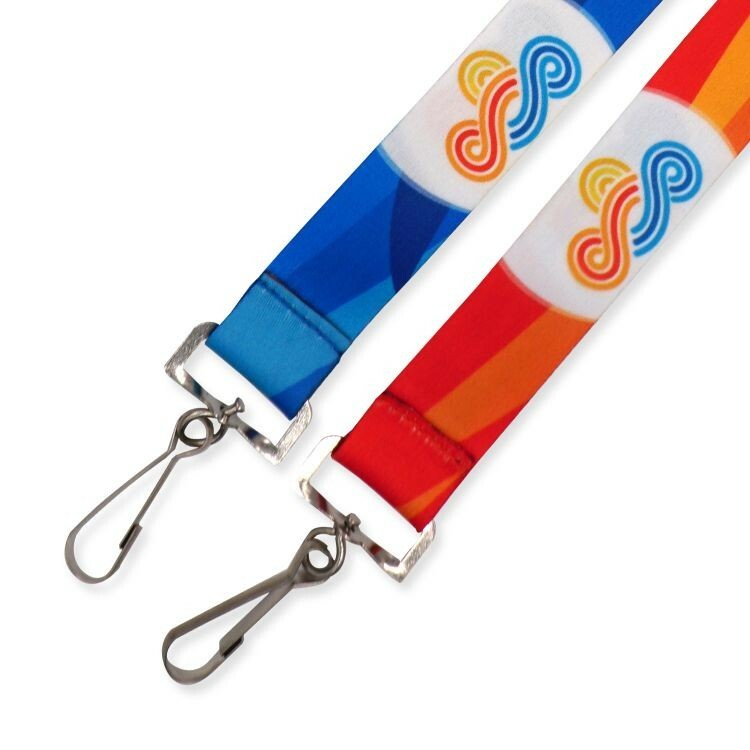 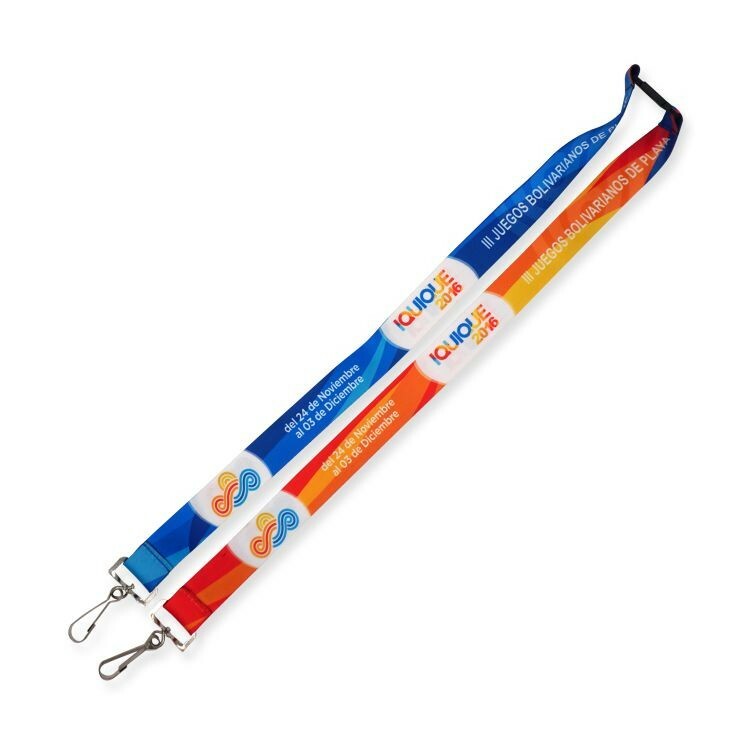 Dye sublimation printing process is the most flexible and high quality of all custom lanyards, also named hot transfer printing lanyards. Our dye sublimation lanyards with a trigger clip, dog clip or mobile phone loop. 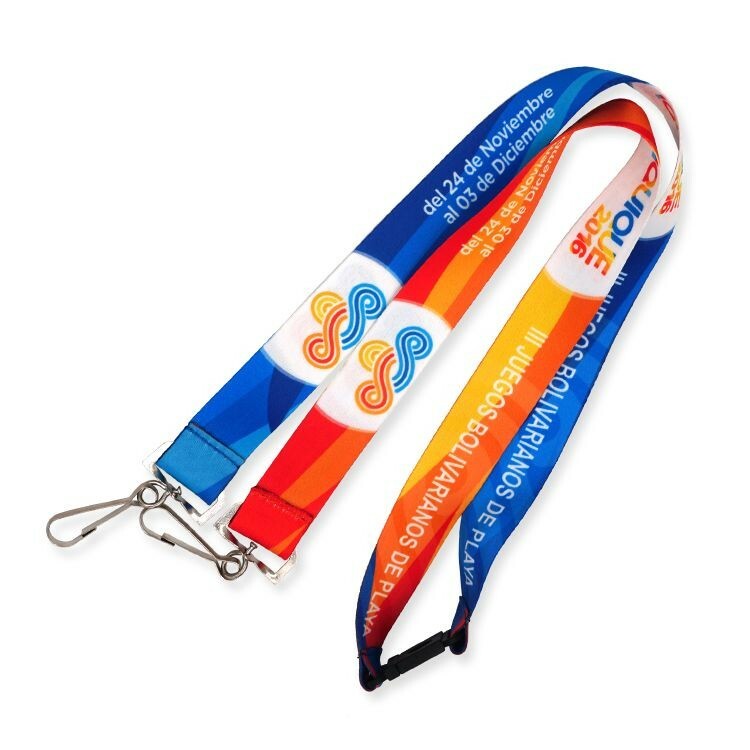 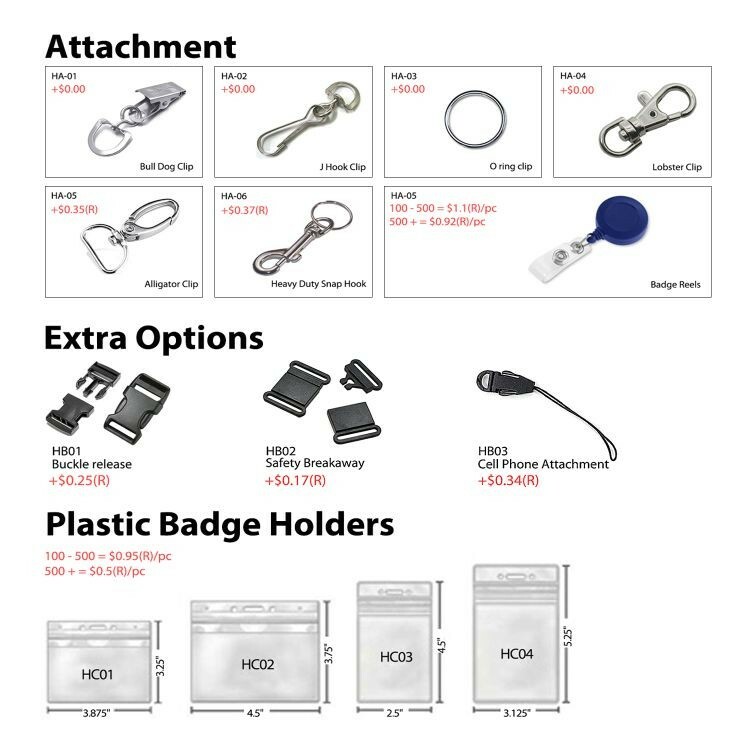 Polyester lanyards include a free bulldog clip or J hook or lobster clip or release loop in the price. 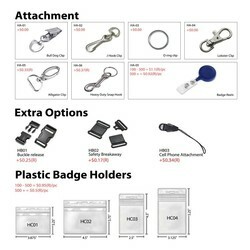 Other fittings are also available upon request. This technique creates a super soft, smooth surface, to ensure that the lanyard is comfortable to wear all day long.